Herman Mashaba is flattered that the EFF thinks highly of the work he has done as Johannesburg mayor, but his colleagues in the DA are not so impressed. Speaking to City Press last week, Mashaba would only say that it was “a compliment that political parties in our co-governance arrangement associate with the change being delivered by the multiparty government”. He said the multiparty government, with the support of the EFF, was “turning Johannesburg around and addressing the inherited service delivery backlogs and epidemic levels of corruption”. “My role remains to lead this turnaround demanded by our residents and I will continue to work with like-minded parties to achieve it,” Mashaba said. He said he led this arrangement with “the non-negotiable campaign offering of delivering change that stops corruption, starts delivery and creates jobs, and the multiparty government finds common ground in these values”. The cooperation project between the DA and the EFF was threatening to collapse in Tshwane, coming just a few months after things failed to work out in a similar arrangement at Nelson Mandela Bay in Port Elizabeth. The DA took control of three metros, including Johannesburg, with the help of the EFF and other smaller parties after the ANC failed to achieve a majority vote in the 2016 municipal elections. Last week, EFF leader Julius Malema dropped a bombshell that the party was gunning to unseat the DA in Tshwane by June, but said Mashaba was safe. 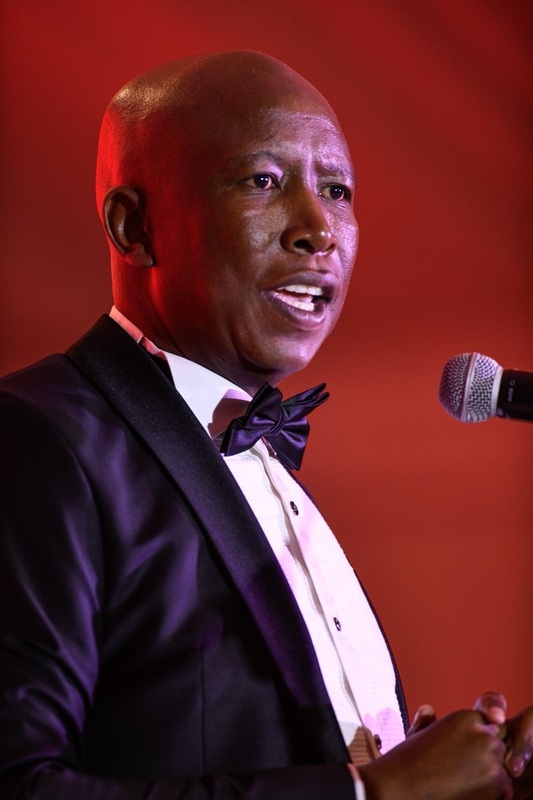 “Even if the DA fires him, they will personally give him a red cap,” said Malema during a gala dinner on the eve of the EFF’s manifesto launch in Tshwane. He said he admired Mashaba because he was independent and where he disagreed with the DA he was not afraid to take a different view if it meant the outcome would deliver the necessary change. However, Mashaba said that he “found DA leadership to be supportive” and “willing to be engaged on different approaches to addressing our challenges”. However, DA insiders said Mashaba was “overappeasing the EFF” just to be safe. “It is about power for him. It is all about staying in the game,” said a councillor. The councillor said EFF-connected people were also benefitting from the relationship through employment and municipal contracts. They said even if some in the DA were not happy with Mashaba, they were stuck with him because any other candidate they could wish for was unlikely to get the support of the EFF. A DA leader said there were some DA caucus members who were not happy with Mashaba’s style of leadership. A national DA leader hinted Mashaba had enemies within the party because he was “not a politician”, but someone from a business background and therefore “he is very straightforward”. As a result, Mashaba did not even run the DA caucus in the city and the role was delegated to Funzela Ngobeni, a member of the mayoral committee of finance. “Ngobeni is an old hand in the DA and the caucus. Mashaba’s core is to run the administration of the city,” the insider said. DA federal executive chairperson James Selfe played down the suggestion that Mashaba was alienating himself from the DA and moving closer to the EFF. “Mayor Mashaba is implementing the DA’s 2016 manifesto and he has made enormous progress in rooting out corruption and improving service delivery, along with our formal coalition partners,” Selfe said. He denied that the DA caucus was not fully behind Mashaba. Mashaba said “councillors represent political parties, and carry that mandate and value set into our work”. He said the future of South Africa was in coalition government, particularly in an environment where no single party enjoyed dominance like the ANC did over the past 25 years. “We are forced to find common ground and work together in the interest of voters. It is with that attitude in mind that I have approached the multiparty government in Johannesburg and I believe the progress we are making is evidence that parties can work together in the interest of change,” said Mashaba.